The best way to make a statement. 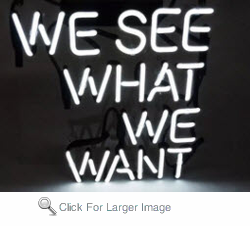 We see what we want. If your personality fit this message...let them know.